All of our tours are private for you/your group, and you will never be combined with any other groups unless otherwise indicated. We offer both ready-made and tailor-made tours. The current list of ready made tours below will be regularly revised as we discover new destinations and experiences. For details and booking, please click a tour of your interest. In the morning we head into deep mountains for MIHO Museum. Marvel at its collection of ancient art treasures and the impressive architecture embedded in the breathtaking natural setting. The tour continues to the hillside town Shigaraki, the home of world famous Shigaraki-yaki pottery ware. Here we enjoy a walk along the quaint streets and visit local artisans in their workshops. We walk through the historic town of Sakamoto along mossy stone walls, seeing temples, shrines and numbers of small clean streams from Hiei-zan. The tour then heads up to Hiei-zan and visit the World Heritage site of Enryakuji temple complex, which is the home of the Tendai school, one of the most important sects of Japanese Buddhism. 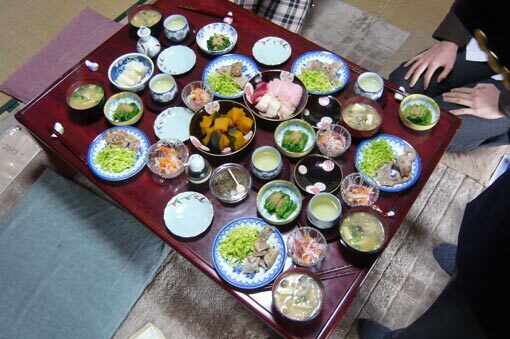 On this tour we explore Sakamoto, an over 1,000-year-old historic temple town at the skirts of Mt. Hiei. 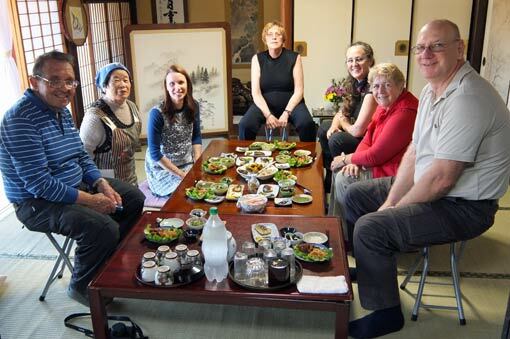 Walking along the quiet streets lined with moss-covered old stone walls, the tour visits important temples and shrines, as well as small local worship places where you can get insights about Japanese history and culture. This small village has become noted for its unique lifestyle: each home has its own clear water spring called "kabata" which is used as both well and kitchen sink. We here join the neighbourhood walking tour conducted by villagers to see kabata in private homes. Experience their lifestyle respecting the blessings of nature with ever-flowing spring water. A tranquil hillside village of Ogi and lakeside old town Katata are visited in this tour. In Ogi, we take a stroll along a maze of narrow lanes that cut through the village, having a closer look at rural lifestyle. The tour then goes down to lakeside town Katata, where we drop in "floating temple hall" Ukimido and enjoy walking along the lake and streets in the rustic town. The tour visits two beautiful rural villages: Hata, a remote hamlet in deep mountains boasting its magnificent rice terraces, and Harie, a neighbourhood known for its unique eco-system of spring water called "kabata". We take strolls and visit locals' private homes in the both villages, having an eye-opening look at their lifestyle. We start the tour with exploring Okishima, a peaceful, tranquil fishing island in Lake Biwa. We then take a leisurely cruise by small hand-paddled househoat through beautiful reed beds in a maze of the Suigo area. The tour concludes with a stroll aruond Omi-hachiman, a old merchant town developing around the picturesque Hachiman-bori canal. Spending full day in Shigaraki, home of world famous Shigaraki-yaki pottery ware, this tour let you soak in an authentic ceramic climate. We visit assortment of pottery studios, and have opportunities to speak with some of the expert potters about their works and lifestyle first-hand. 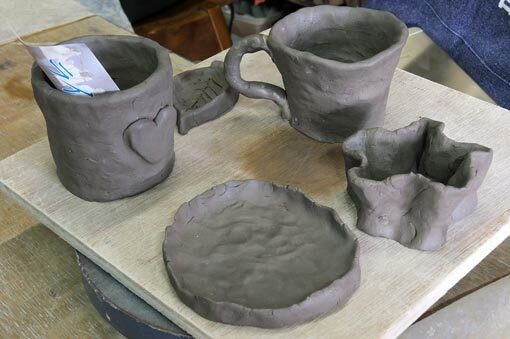 After learning about Shigaraki-ware, we have experience of making our own pottery at one of the local workshops! On this tour, we visit to the hillside town Shigaraki, home of world famous Shigaraki-yaki pottery ware. Here we take a walk along the quaint streets and visit local artisans in their workshops. After having lunch, we have experience of making our own pottery! 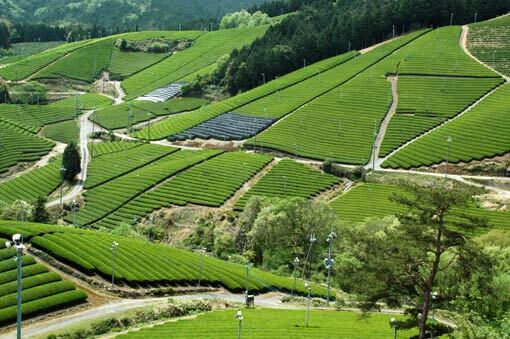 The tour continues to Asamiya, a small mountain village surrounded by magnificent tea fields. 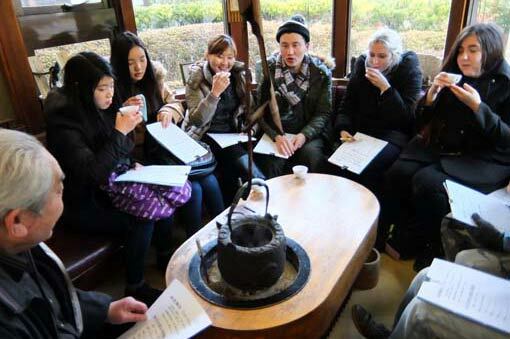 We learn Japanese tea culture through a unique tea tasting experience. 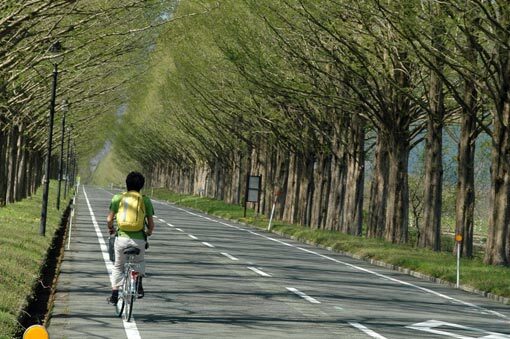 The Lake Biwa area boasts a rich variety of fascinating attractions. If our ready-made tours are not your cup of tea, we are keen to tailor tour itineraries and activities to suit your interests and needs. Please let us know the following information through the enquiry form (NOT through the "booking enquiry form") or direct email. We will get back to you with a proposal (It may take several days). 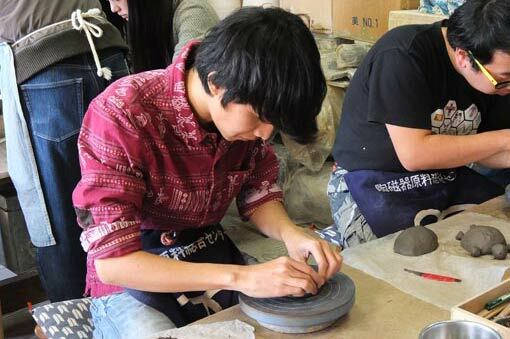 Make ceramic ware by your own in Shigaraki, the home of world famous Shigaraki ware. At a local artisan's workshop, you will have an cray-forming experience using a sculpting wheel. If you are a beginner, no need to worry at all, as a friendly pottery master will guide you if you wish! Your masterpieces will be shipped to you in your country in one or two months. 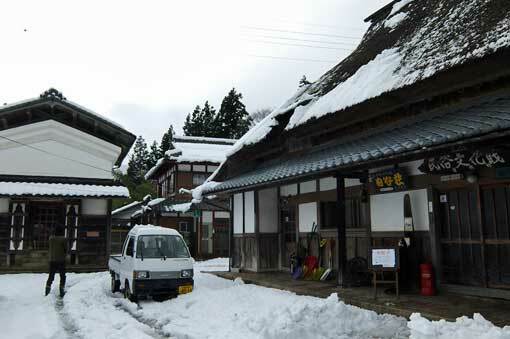 Mountainside areas north of the Lake Biwa have heavy snowfalls in winter. Snow shoveling is one of the most common sights in the season, and offer you an opportunity to experience this locals' daily routine. 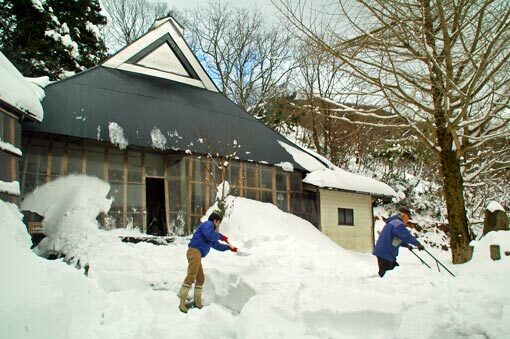 While shoveling, let yourself play with snow; jump into snow, carving a snow statue, or even build a "kamakura" igloo if you are a powerful man!...and finally you will find you have helped locals. Asamiya, a village in a valley known as a production centre of one of the best tea leaves in Japan. Here you are able to have unique tea experiences with a tea master; testing different types of tea and other common drinks, tea leaf picking, milling matcha (powdered green tea)... As tea farming is very seasonal, experiences available vary depending on the season. Please ask us about current availability. 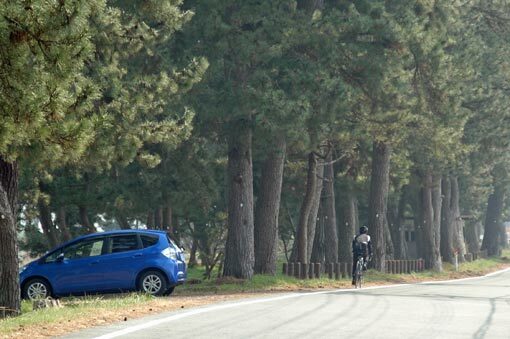 With magnificent views of the lake, flat roads, peaceful countryside villages, and less traffic, cycling is very popular activity in the Lake Biwa area. While lakeside roads are needless to say good for pedaling, there are numbers of wonderful roads off the lakeshore as well. We are keen to arrange cycling tour itineraries.